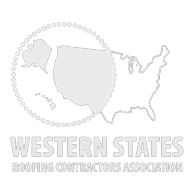 The advantage to partnering with an experienced commercial roofing company that has been in business for over 35 years is that we will work to understand your needs and provide you with the best solutions. Harbert Roofing is at the forefront of new technologies, concepts, and innovations. There are numerous manufacturers that provide roofing products that might be specified in your bid proposal that we install. You can reduce time constraints and logistical challenges with Harbert Roofing. Working with a full-service roofing company allows you the advantage of multiple services such as: waterproofing, commercial and residential seamless gutters, and metal flashing fabrication. After your project is completed, Harbert Roofing can extend the financial savings with a Total Roof Asset Maintenance program that can be administered annually or semi-annually. There are a few options when deciding on what type of roofing you want for your low-sloped roof project. California requires that buildings being roofed comply with Title 24, which refers to energy efficiency standards that were established in 1978 to reduce California's energy consumption. Single-ply and built-up roofing are really the only two types of roofs that will meet California's Title 24. Both of them are equivalent in price when meeting Title 24 requirements. Metal roofing is another option if you have a low-sloped roof. Metal offers great aesthetics when applied in a high-visibility location. 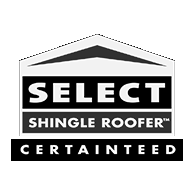 Each type of roofing application is available with warranties. 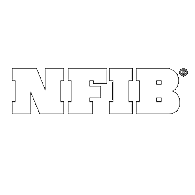 Single-ply membrane warranties can be 10, 15, and 20 years with a manufacturer's No-Dollar-Limit warranty. Your roof accounts for 40% of your home's aesthetic appeal. Asphalt shingles offer you a variety of styles to choose from, depending on the look or appeal you're trying to achieve. Manufacturers offer shingles that can appear as: Slate, Scalloped Slate, Wood Shake, Dimensional, Sculptured Shingles, Random Cut Design, Shadowed. Harbert Roofing is qualified to install any roofing system you choose. You can rest assured that your roof is properly installed. 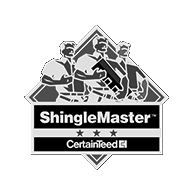 Our roofing technicians meet the highest application certifications by asphalt shingle manufacturers. Each manufacturer offers limited warranties of 30, 40, and 50 years with limited wind warranties up to 110mph. A metal roof is a great choice for both commercial and residential properties. A metal roofing system provides versatility that no other roofing system can offer. Metal roofs can be used in steep slope or low slope applications. Metal panels are a good choice in areas where there is adverse weather such as high winds and low maintenance is desired. Depending on the appearance you would like to replicate, metal roofs can be manufactured to appear as: Tile, Wood Shake, Rustic Shingles, Slate. Metal panels can be designed to have a smooth or rough finish, scalloped, diamond, or round shapes. Metal roofs can extend the life of your roof for hundreds of years without oxidizing or rusting. Not all metal roofing material is alike. Ensure the metal roofing system you use meets or exceeds requirements set forth by the Underwriter Laboratories (UL). 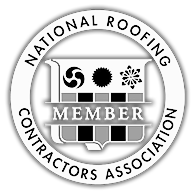 As a consumer, you need to be aware of the types of material being used on your roof, the gauge of material, and how it is installed. Call Harbert Roofing today to help you make the best decision for your project. With Harbert Roofing you can rest assured your metal roof is installed properly. Tile offers superior aesthetics, durability, and longevity. No other roofing material offers the superior aesthetics, durability, and longevity that tile does. Performing a life cycle cost will show that a tile roof is one of the best deals on the market today. Tile roofs are available in either clay or concrete. Both options have their advantages. Clay roofs have been around since the 13th century. Clay tile offers a more elegant roof than concrete. As time passes, a clay roof's color will become richer and develop a character unequaled by other roofs. Concrete tile was developed in the early 19th century. It is by far the most popular material used for tile roofs. Concrete is less expensive than clay due to fewer processes involved to manufacture it. Both clay and concrete tile are manufactured to replicate many styles, such as Authentic Spanish, Mediterranean, New England Colonial, or Contemporary. Additionally, tile roofs can be made to look like Slate, Shake, or even Shingles. Tile allows you the ability to let your house stand out in the neighborhood. It will be a house that people stop and admire for years to come. 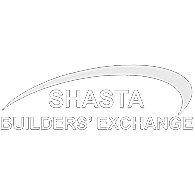 At Shasta County Juvenile Hall, we installed 24 ansispi coping and completed various repairs to their single ply and metal roofs. For the O'Connell Center, we completed a the tear off, which was five stories up with 3 inches ballistic rock down to concrete deck. We then installed a new 3 inch polyiso insulation mechanically attached 60 mil TPO with a 20-year no dollar limit and new ansispi coping. At the Orthopedic Associate, we installed 60 mil mechanically attached TPO over ½ inch secure rock with a 20-year no dollar limit. The metal used is 24 gauge Metal Sales with a vertical seam 18 inches wide and with 22 gauge seamless gutters. For Chico State’s Physical Science building, we completed a tear off before installing new EPS ¼ inch taper system, new 60 mil GAF mechanically attached single-ply, 60 mil new siding on the mechanical room, and 24 gauge PBR panel. At the Sylvester Cafe, we tore off a built-up roof and installed new TPO with taper crickets and clad metal on the edge with a 15-year no dollar limit warranty. For Shasta County Health & Human Services Agency, we tore off previous asbestos and installed new 1/4 inch taper EPS insulation system up to 20 inches thick, new ½ secure rock, new mechanically attached 60 mil PVC (with a 20-year no dollar limit), new 22 gauges with structural steel downspouts, new 24 gauge fascia, and ansispi coping. 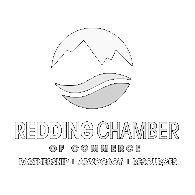 For Shasta County Social Services, tore off asbestos down to their concrete deck and then installed GAF tapered insulation with OlyBond 500, new ¼ inch Densdeck, and new fully adhered TPO with a 20-year no dollar limit warranty. At Tri Countries 525, we installed new 60 mil TPO over smooth surface built-up roofing, new 24 gauge ansispi coping, and new skylights with burglar bars. Tri Counties 525 has a 20-year no dollar limit warranty. For Tri Counties Banchares, we tore off their old single-ply and installed new 60 mil TPO with a 20-year no dollar limit. We also installed all new skylights with burglar bars and new 24 gauge ansi spri coping. At United Healthcare, we installed Genflex 80 mil PVC mechanically attached. Their metal roofing is 24 gauge with 16 inch batten and pan standing seams. The job was done in 2000 but filmed in 2018. They have a 15-year no dollar limit. For the Williams Unified School District, we installed Sarnafil G410 flect back, varying between tan and white, with added Decor and a 20-year no dollar limit warranty. We added ⅞ corrugated metal siding. All gutter, ansispi coping, and fascia metal 24 gage galvanized. 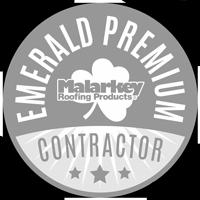 We finished with 50-year Malarkey shingles ecoasis. It was an overall $750,000 contract. At Anderson Family Health & Dental Center, we installed a Single-Ply Sika Sarnafil 60 mil mechanically attached PVC with 24 gage coping, Lastobond peel and stick underlayment and an AEP Box Rib metal roofing with associated siding and flashing. At the Anderson Gym, HRI installed two layers of 2” polyiso insulation, a Metal Sales peel and stick underlayment, and 24 gauge, 18” wide, 1 ¾” standing seaming metal roof with panels up to 100’ long. HRI also installed a 24 gauge commercial gutter with 3” structural steel downspouts. At Westwood Village, we used mechanically attached single-ply TPO over ¼” secure rock with a 20 year labor and materials warranty and a new 24 gauge kynar with ANSI clete. This project was 120,000 square feet. Corning’s Maywood Middle School called for removal of the existing hail damaged, twenty-year-old PVC roof. We applied a new 60 mil PVC roof with a 20 year labor and materials warranty. At the Corning gym, we tore off an EPDM roof, replaced damaged and wet insulation, and installed a new mechanically attached 60 mil PVC roof with walk pads under a 20 year labor and materials warranty. At Shasta Trinity Medical Center, HRI removed the existing built-up roof and existing tile manzard. We installed a new ½” secure rock under a mechanically attached 60 mil PVC with a 20 year labor and materials warranty. This was a 17,500 square foot project and used 24 gauge kynar with ANSI clete. Sheraton Hotel at 820 Sundial Bridge Drive, Redding, CA 96001, was roofed by Harbert Roofing in 2017. Harbert Roofing has worked on Sierra Nevada Brewing Co. (located at 1075 East 20th Street, Chico, CA 95928) since 1996.